Lol as the title says, I've been slippin on my hair care. I haven't updated in a while and I must admit, I have been the most bored with my hair. Between the gym, the fact that my new growth is coming in faster than previously expected and that my hair has been acting strangely, I just haven't been feeling it. I still keep up on my wash days, moisturizing/sealing, but I need to step up my deep conditioning. Now that my scalp has recovered from the tenderness, I can get back to protective styling. 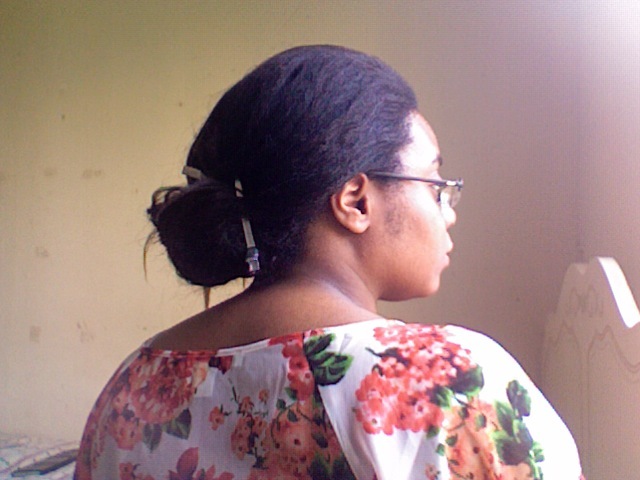 I will primarily be keeping it simple and very light on tension, so no tight buns or butterfly clips, etc, mostly just clipping it up with a duckbill clip (which is only semi-protective, but I'll get into that in my next post ;) and leaving it alone. Aside from that it's been business as usual, I've noticed more breakage, but since I've been slacking a bit on my deep conditioning and my hair was out all the time, I anticipated there would be some. 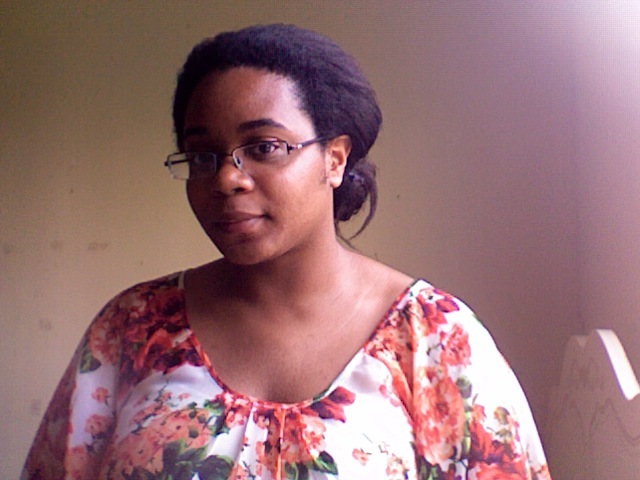 It doesn't seem like I lost any length, but my ends did certainly take a beating, especially the last 2 weeks. I plan to trim the next time I relax, so hopefully this won't turn into a setback. What the scalp tenderness has taught me is that I need to be exceptionally gentle with my scalp, no crazy massaging, high water pressure, irritants, tight styling, etc; when I am rough with my scalp my hair will always pay for it. Detangle and let air-dry loose. I feel like I do this routine all the time, but something about it didn't work out last night. I think it was the coconut oil. Last week's wash day disaster with CHI Deep Brilliance Moisture conditioner seems to have kicked my hair into protein overload. Even after clarifying and a few (real) moisturizing deep conditioning sessions, the property that coconut oil has of reducing protein loss seems to have kept the excess protein from the CHI in my hair longer than desired. It was hard, tangled and there was a bit more breakage than usual even after deep conditioning last night. I forgot that although coconut oil is good under balanced conditions, that I should run away from it during a protein overload! Coconut oil will just reduce the ability to remove the excess protein and make it more difficult to restore the hair's moisture level. After I remembered that little tip, I brought back one of my favorite moisturizers, Shea Moisture Restorative Conditioner (instead of using Bee Mine Deja's Hair Milk which is mostly coconut oil based), sealed with argan oil and my hair was back to normal. I've been failing on wash days recently, so I definitely need to keep it simple and stick to the products that I absolutely know work for me. i like ur blog would u like follow each other? Sure! I saw your blog this morning, it's very cute :).